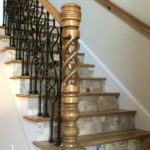 Even in today’s modern world, the fine art of wood crafting can produce beautiful, lasting results with ornate details that can turn any ordinary stairway, set of steps, or railing into a welcome addition to any interior or exterior space. 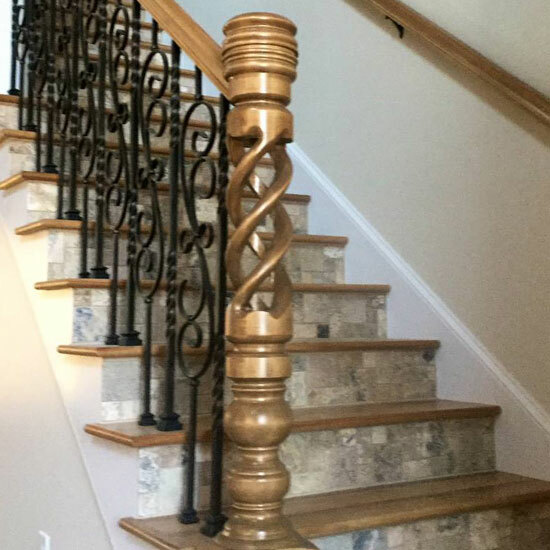 Eye-catching results can be produced with a custom newel post in just the right spot, intricate turned balusters, or various aesthetic and functional features incorporated into a custom-created design. 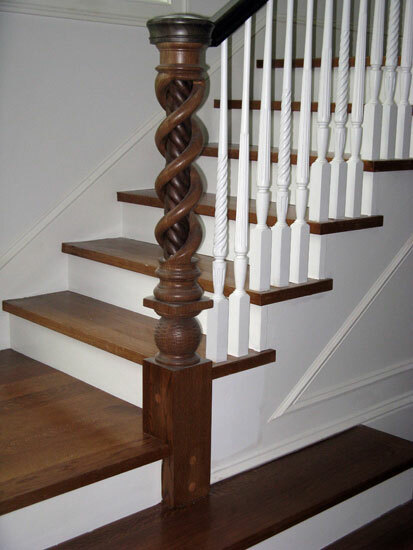 Wood turnings can easily make any stairway or railing more than just functional. 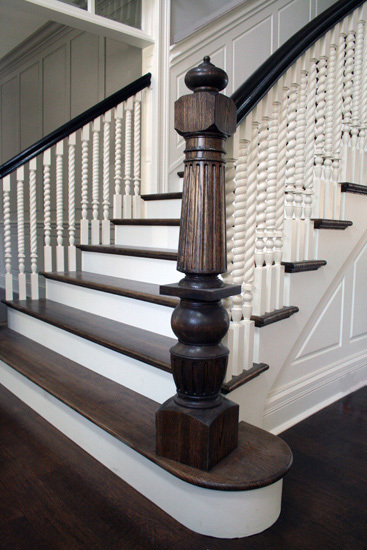 Stair treads, newel posts, handrail fittings, and wood balusters can be crafted in any size or shape imaginable. 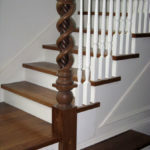 Wood turnings for stairs can even be created to work within difficult corners, areas with limited space, or on stairways with unusual twists and turns over multiple floors. 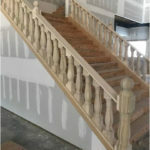 Custom turnings are typically created with computer-aided design (CAD) software, which will allow you to view your design before it’s created. 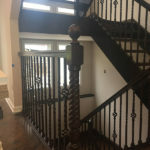 CAD design also means you can start with nothing more than a few drawings on a napkin, or a picture from a magazine or website. 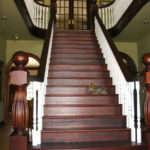 Wooden stairs inside a home, office, or business are classic and timelessly appealing. 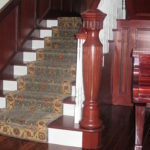 Wood turnings for interior stairways can be as basic or sophisticated in terms of design features as you prefer. 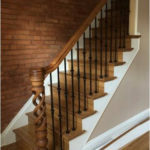 Many homeowners today opt for various oak hues that can range from honey yellow to light to medium brown and rich red since this is a highly durable type of wood that’s also easy to maintain. 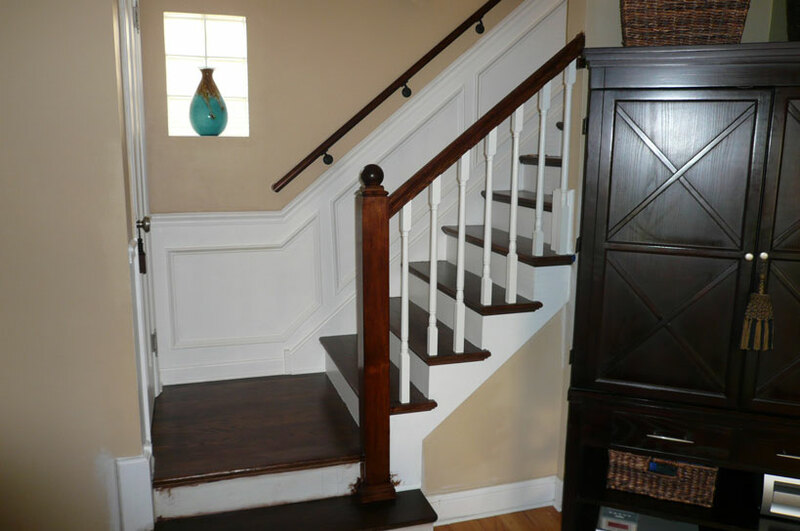 Equally appealing interior stairways can be made with maple, cherry, mahogany, or any other wood species you might prefer for your home. 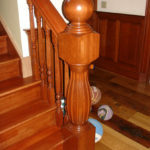 An excellent way to make a good first impression is with wood turnings for your porch or deck. 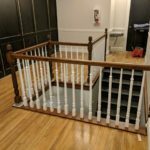 The beauty of an exterior update is that all essential parts, from the posts and balusters to the shims and spindles, can be crafted to match your preferences and needs. 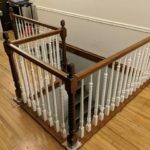 This could include wider railings to allow loved ones to get a better grip or porch railings that are durable enough to create a safe play area for kids. 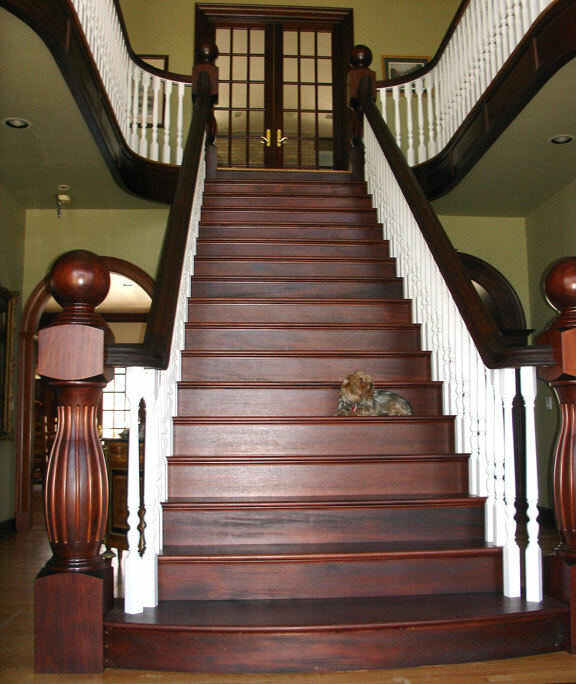 Special treatments can also be applied to provide extra protection from the elements and minimize upkeep needs. 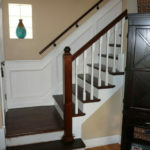 Add curb appeal to your home or business exteriors by complementing outside porch steps with our custom porch posts. 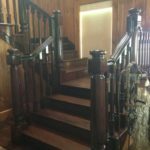 Wood posts can be purchased pre-made or customized to match your preferences with decorative details, wood species, color, and post height. 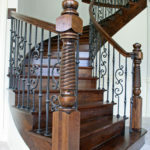 Newels serve as the anchor for a stairway. 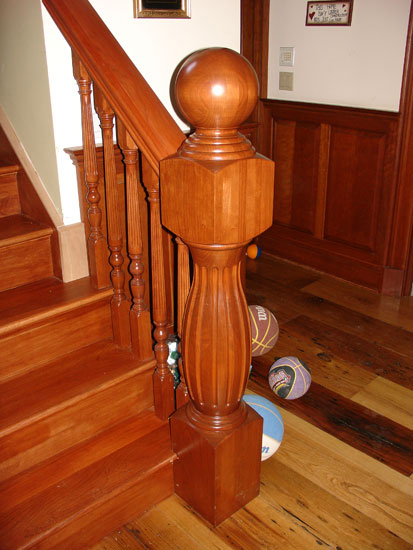 Any custom newel post can be prepared to match specific sizes, shapes, and preferences with wood species. 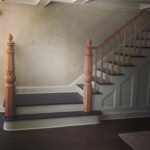 Meant to provide symmetry at the top and bottom of stairs and complement any other ornate features you may have in place, turned newels are usually thinner than box newels. 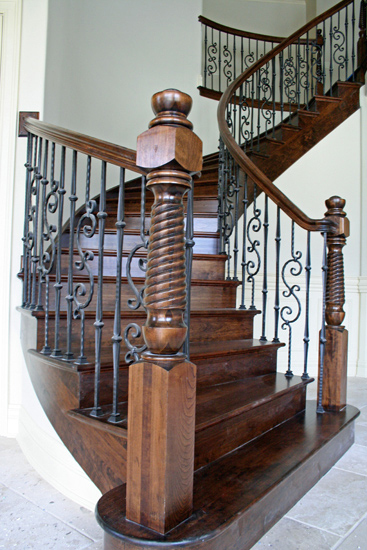 The thinner shape allows for more customized variations to be included, such as fluting, reeding, and rope twisting. 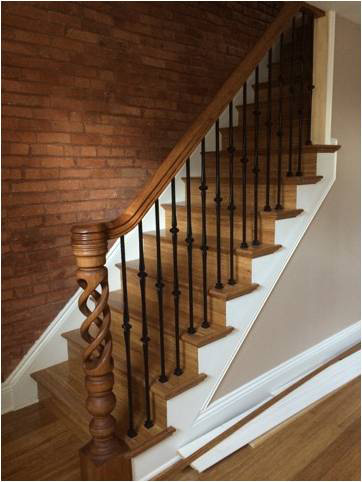 Custom wood balusters on stairways or railings can be beautifully adorned with twisting, fluting, or roping for added flare. 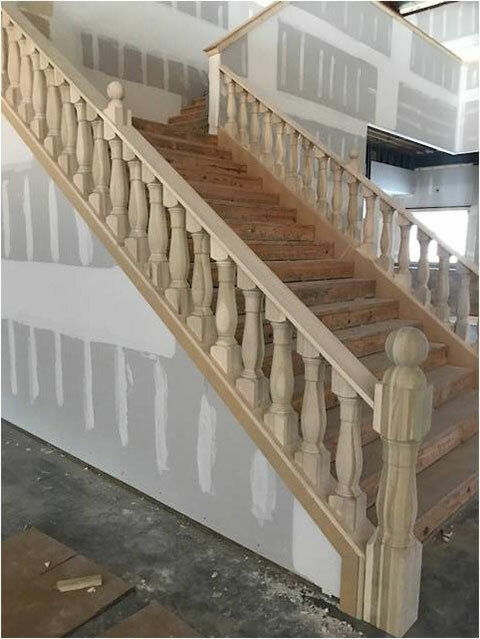 You’re also welcome to pick any wood species or color variation you want or change the profile and spacing between balusters to create an even more customized look. 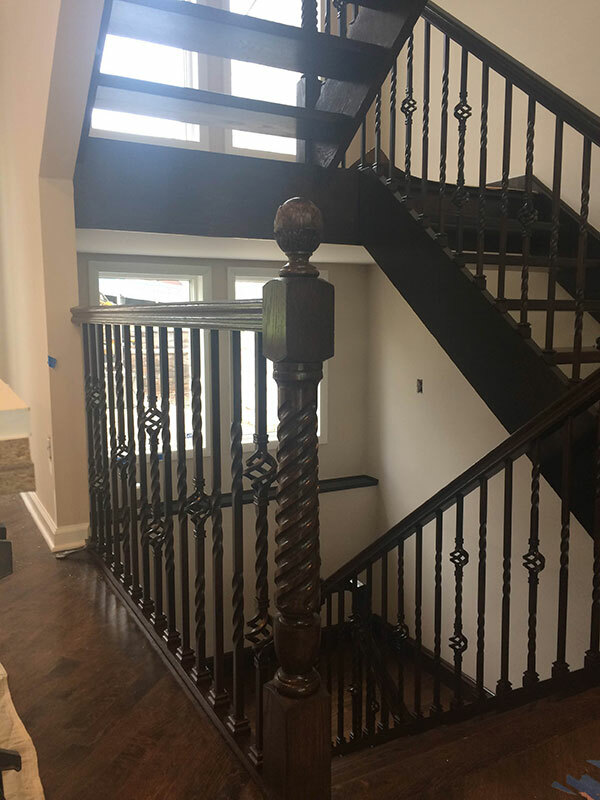 Custom balusters can easily be a smart investment when you consider the long-term value of custom woodwork, especially if you end up selling your home in the future. 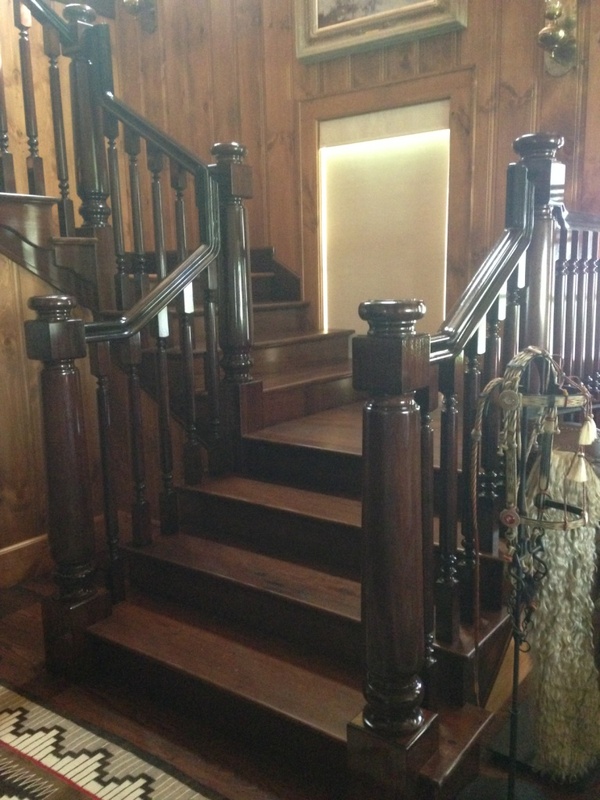 Completely personalize your stairway with newel posts and balusters. 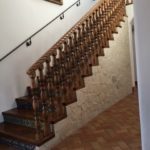 What you’ll end up with is a stairway that’s seamlessly designed from top to bottom with features that can be as subtle or dramatic as you wish. 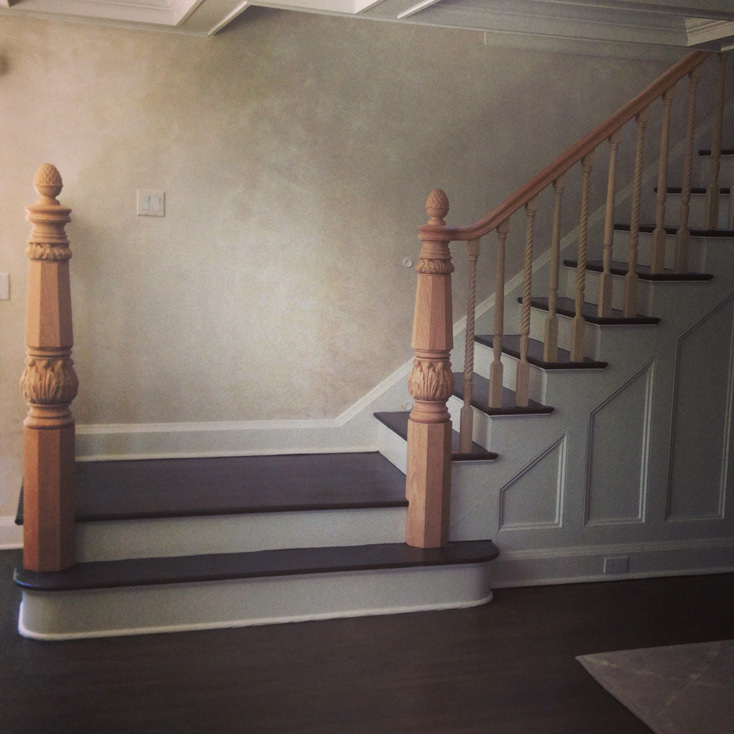 We can even create designs that perfectly complement existing architectural features near your stairway. 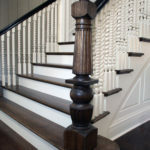 If you’re doing a remodel, balusters and newel posts can be created based on existing interior or exterior stairway designs you may want to replicate as part of your home improvement project. 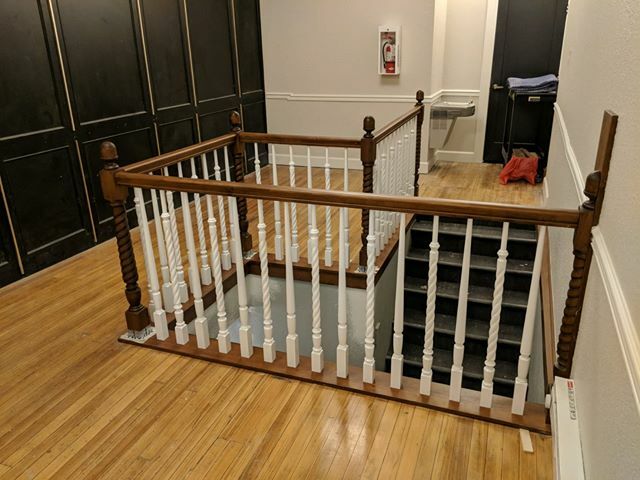 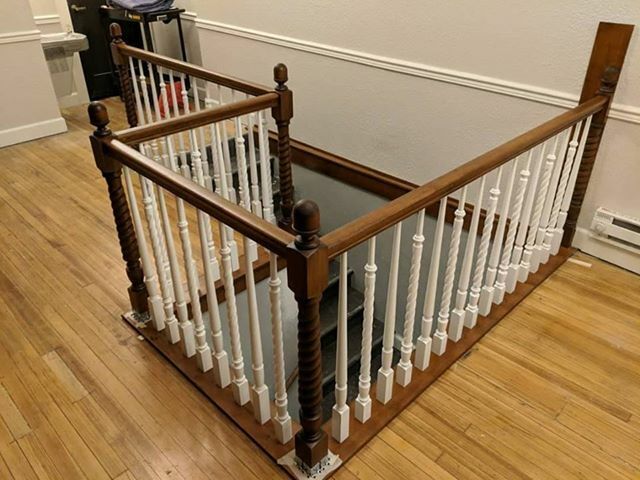 Whether you want railings and accessories for a grand staircase or something decorative for the stairway leading down to your basement entertainment room or attic, our skilled crafters will deliver the results you expect. 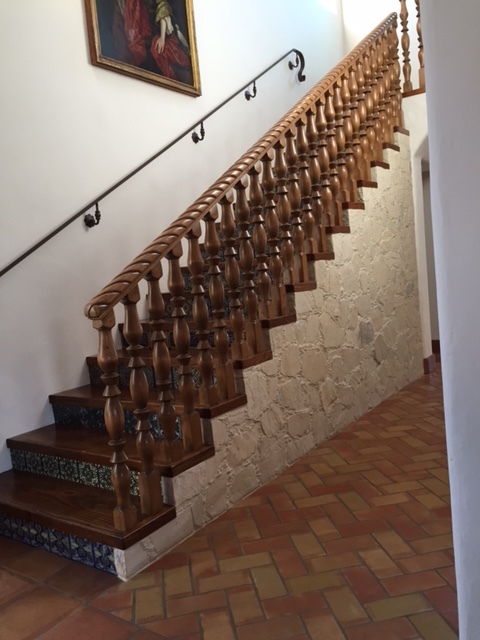 Because of our fine craftsmanship and attention to detail, you’ll enjoy results designed to offer lasting beauty and value. 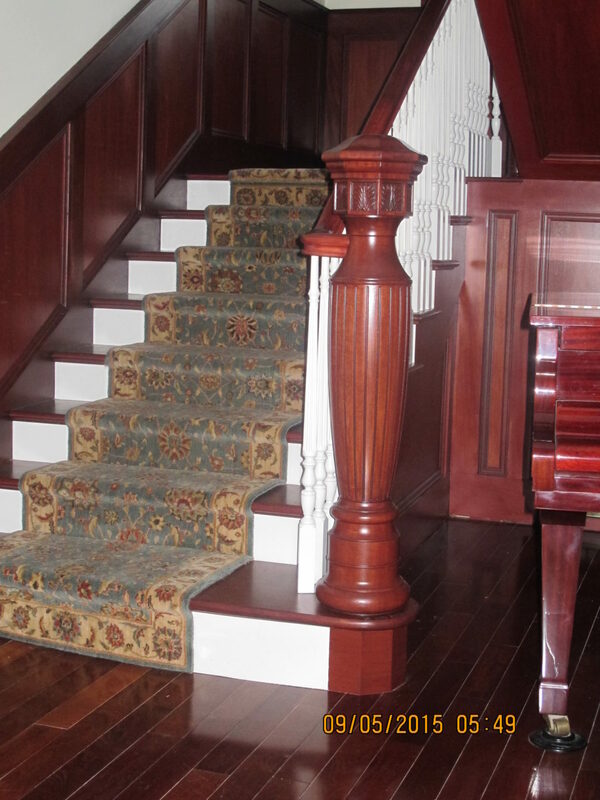 For more information, please contact our customer service reps at 717-859-5944 or complete our free custom quote.